Hoffenheim have extended the contract of burly Brazilian forward Joelinton, who head coach Julian Nagelsmann describes as "an animal" in front of goal for the Bundesliga outfit. The 22-year-old was recruited in 2015 from Brazilian club Sport Club do Recife, but has now signed a two-year contract extension until 2022. After two years on loan at Austrian side Rapid Vienna, he has broken through this season under Nagelsmann at Hoffenheim, proving a handful for defences with powerful runs into the box. The centre-forward has scored eight goals, and set up seven more, in 17 games, including a late equaliser off the bench in last month's 3-3 draw at home to Lyon in the Champions League. He also bagged a hat-trick in the 6-1 thrashing of Kaiserslautern in the German Cup first-round last August and netted twice, then set up a third goal, in this month's 4-1 win at Bayer Leverkusen in the Bundesliga. "The bloke is an animal. He's a machine. 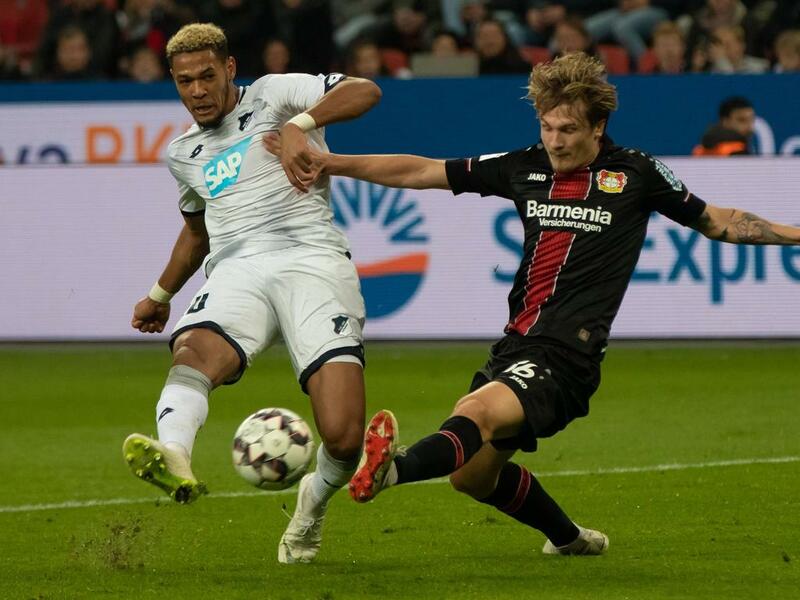 It's hard to stop him," said Nagelsmann early this month after starting Joelinton nine times in 11 league games and bringing him off the bench in the other two games. Hoffenheim have a chance to break into the top four of the German league when they play at Hertha Berlin, who are winless in their last five games, on Saturday.